I can’t tell you how many times this has happened in my house. If I try to get the kids to do anything now (“Now!”), they never agree. But if ask them to do something in 5 minutes, they’ll agree to anything. A discount rate is a term in economics that refers to how much weight we put on the future relative to the present. We value today more than we value tomorrow, and we “discount” what will happen tomorrow because it’s in the future. There’s time, uncertainty, and psychological distance between now and then, so we value it less. In finance, discount rates are commonly evaluated on an annual basis (i.e., __% per year), and are used to discount future cash flows. In everyday life, we’re simply referring to the idea that we put more emphasis on today than tomorrow. My kids, like many kids, have extremely high discount rates. They put so much more emphasis (like, a ridiculously greater emphasis) on the here and now instead of tomorrow, or even 5 minutes from now. One might even say that their discount rates are close to infinity (!) — that is, only the now matters. This has a few implications for parenting. The most famous example of children discounting the future is The Marshmallow Test. There are hundreds of articles on it if you search in Google and want to read more. 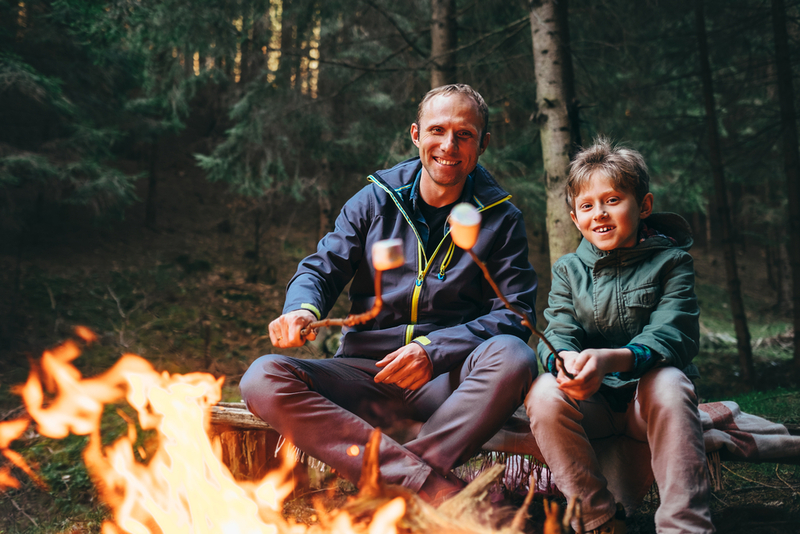 Here’s the thing: Children that are able to resist eating the first marshmallow and to hold out for two marshmallows have significantly better life outcomes, decades later. They have higher test scores, higher education, higher income, a whole host of better outcomes. That is, the ability to not eat a marshmallow in preschool has predictive power on meaningful life outcomes as an adult — incredible! 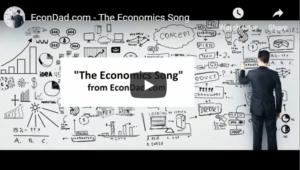 “As an economist studying financial and health choices, I see this all the time. People make plans for the future, that they want to follow, and that they believe are good for them, but they can’t fulfill them. So we call self-control the ability to resist the short-term temptations and follow plans that are beneficial for the future. Silvia Barcellos, “The Marshmallow Test and Why We Want Instant Gratification,” TedxMidAtlantic 2012, at 4:15-4:45. Emphasis added. As we grow from children to adults, we develop self-control that allows us to overcome our short-term impulses for longer-term benefit. Those of us who learn to do this better tend to be more successful in school, work, and a variety of other life outcomes. “In sum, no matter the domain, the highly successful had a kind of ferocious determination that played out in two ways. First, these exemplars were unusually resilient and hardworking. Second, they knew in a very, very deep way what it was they wanted. They not only had determination, they had direction. Angela Duckworth, “Grit: The Power of Passion and Perseverance,” Scribner, 2016. Emphasis added. Grit is the about having the drive and vision to overcome the immediate in order to pursue the future. If we develop passion and perseverance, we can muscle through the heavy lifting that’s required in pursuing a long-term plan. Jordan Peterson, “12 Rules For Life,” Random House Canada, 2018, pp. 164-165, 195-196. Emphasis added. In other words, delaying gratification — i.e., conscious discipline today to reap the benefits tomorrow — is one of the greatest evolutionary superpowers of humans relative to other animals. It allows us to organize together and harness our energy towards a bright collective future. Okay, great. But so what? Let’s get back to parenting. 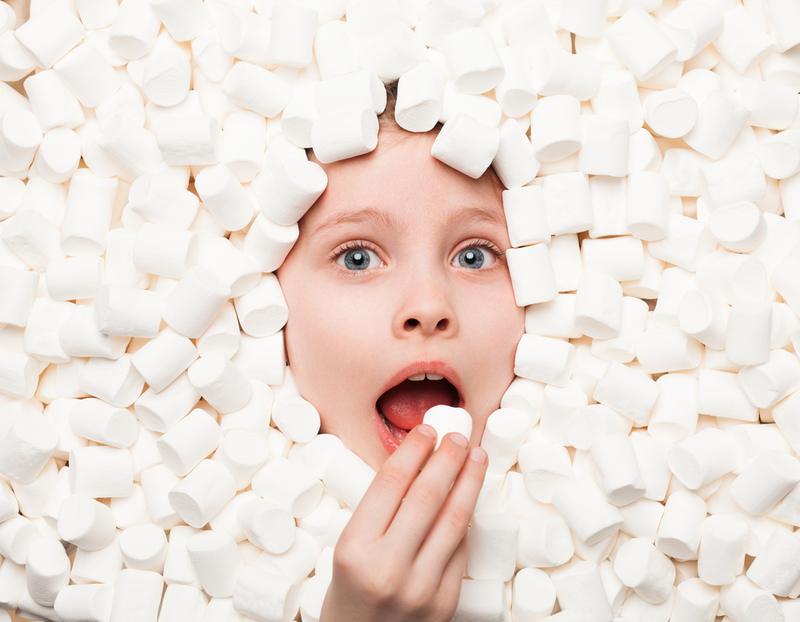 Would you child pass the Marshmallow Test in this situation? Parenting is hard. Who says you shouldn’t use your adult assets, like your fully developed prefrontal cortex, to your advantage? At a minimum, let’s call it “harnessing” the high discount rates and approaching child negotiations accordingly. Classic economic negotiation technique: Seek agreement on something that has high value to you (e.g., me: the kids completing activity X) but low value to your counter party (e.g., my kids: basically anything beyond the next few minutes). Harnessing the short-term situation is all fine and well. After all, I’m usually doing it for their own long-term benefit. As a parent, I am the fully developed human brain that adequately takes into account the interests of their future selves. But longer term, I don’t want them to maintain their high discount rates. I want them to develop self-control, grit, and delay of gratification. I want them to develop lower discount rates. Here are some ideas. Train the muscles. 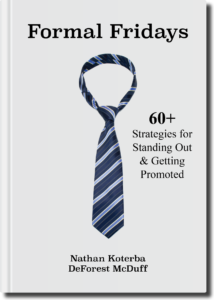 Developing behavioral traits is just like exercising any muscle: your kids need practice. So give them training exercises, putting rewards just out of reach relative to their current present-future evaluation. “If you take two bites of broccoli, you can have a dessert after dinner.” “If you finish your homework early, I’ll give you five extra minutes before bedtime.” Give them tangible goals that they care about and can actually aim for with improved behavior. Work the muscles so they develop strength of self-control. Set up long-term reward systems. 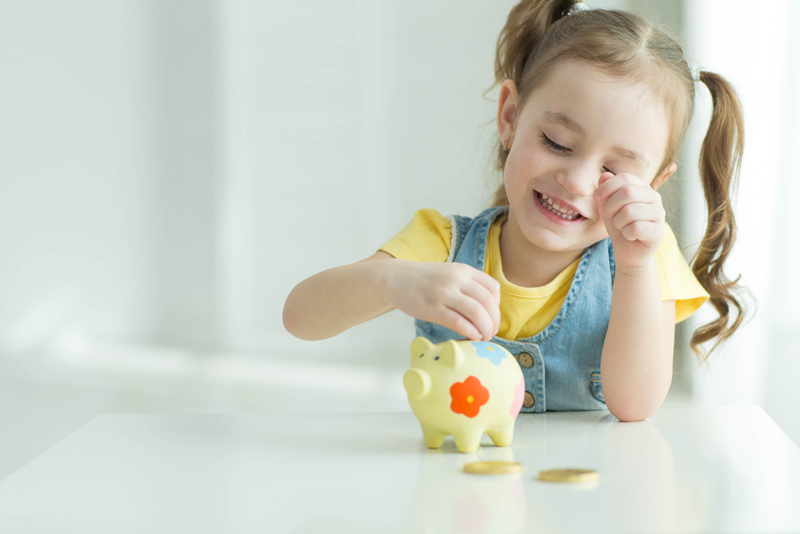 Set up long-term reward systems that encourage your kids to think about the future impact of their present behavior. Here’s one that’s happening in our house right now: our nanny set up weekly behavior charts that result in rewards on Friday for good behavior during the week. She’s constantly reminding them that their behavior today affects the reward on Friday — that’s super helpful training. Explain short-term vs long-term trade-offs. Repeated discussion of the trade-offs also helps. When they’re making decisions for themselves, ask them to think about the short-term versus the long-term. Last night, my son spent some of his allowance on a new Thomas train. I said, “So you’re trading a little bit of your long-term savings in order to get a toy that you’re interested in, is that right?” “Ummm, yes, I guess so…” “Okay, great, let’s go for it!” “Dad, you’re a weirdo, can we just buy the toy?“ I’m not discouraging the short-term reward, but I’m trying to get him to be conscious of the trade-offs. Allow for natural consequences, in appropriate circumstances. As kids get older, natural consequences become more important. Approval from Mom or Dad only goes so far, especially for pre-teens. Lately we’ve been battling over homework completion, so I’ve been letting my son bring his homework into the teacher incomplete. But, I’ve been emphasizing the future consequences when he makes the decision: “If you don’t finish your homework now, your teacher won’t be very happy when you show up tomorrow, will she?” And then, sometimes I just let him make his own choice. The hope is that he thinks back to his short-term/long-term decision when he faces his teacher the next morning, and, hopefully, thinks about making a better decision next time. Fun fact: Interestingly, ordering with two-day shipping from Amazon Prime seems like an incredibly high discount rate for adults: “Wow, you mean I can order anything and it will arrive in literally just two days?? !” But the same timeline is actually good practice for your kids’ discount rates: “What, you mean we order it now and it won’t come for two whole days?? !” Discount rates are all relative, I suppose. We all want our children to learn to think and plan for the future. So let’s work hard to give them the skills to do so. Roasting the proverbial marshmallows with your son. “One bright day in late autumn a family of Ants were bustling about in the warm sunshine, drying out the grain they had stored up during the summer, when a starving Grasshopper, his fiddle under his arm, came up and humbly begged for a bite to eat. 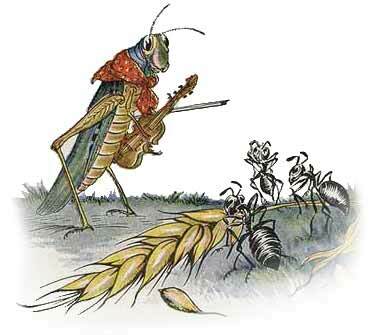 Source: The Aesop for Children, The Ants & The Grasshopper, http://read.gov/aesop/052.html. Let’s help out kids become ants, so they won’t be cold next winter. Readers: Any ideas or insights in how you foster self-control, grit, and delay of gratification with your own kids? I’d love to hear about any strategies you use!